Eight bowls of piping hot noodles to get you through the colder months. We're not talking about the dirt-cheap two-minute version that somewhere down the line became the quintessential student meal. Ramen is a soul-warming dish that combines Japanese noodles in a slowly-simmered broth that originates from China. Almost every prefecture in Japan has its own variation of ramen, using different broth styles, and served with an assortment of toppings like: chashu pork, seaweed, green onions, bamboo shoots, wood ear fungus and molten egg — the varieties are endless, really. Whatever your buzz, it's mostly about the experience of slurping and the warm feeling that resonates inside after every mouthful. Luckily, we're heading into the colder months and the thought of inhaling some piping hot broth is very appealing. 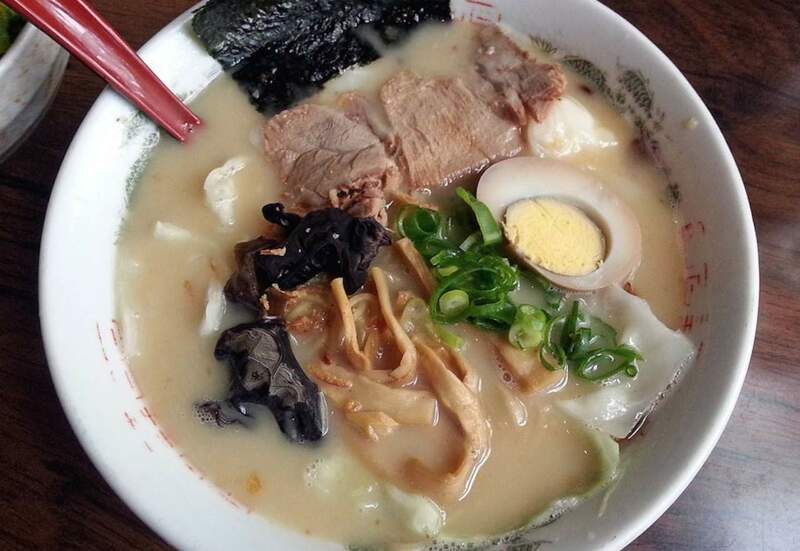 We set out to find some of the best places to slurp up a bowl of ramen across the city. Opened by former mechanic turned ramen master Mitsuhiro Tozaki, Ramen Lab has a core focus of using New Zealand grown produce and free range goods, something that makes itself apparent upon the first mouthful. You'll find multiple varieties of the noodle soup on the menu, including traditional tonkotsu from Hakata, shoyu from Toyko, miso from Sapporo and the Japanese-Chinese hybrid, tantan. Receiving my order of tonkotsu with an extra molten egg, the bowl was nearly overflowing. The broth is immense and probably the porkiest I've tasted in my ramen adventures, while the chashu pork is ridiculously tender, falling away as you pick it up and disappearing into nothingness as it touches your mouth. If you're dealing with a mammoth appetite, an extra half or full portion of noodles can be added for $2/$3 — how you're going to fit them in the already brimming bowl is another issue altogether. Once you lay your eyes on a bowl of steaming glory at Ramen Do, you'll be scanning the menu in no time trying to decipher what just flew past your table. Ramen Do specialises in Hokkaido ramen, known for its bolder style of miso broth. While Hokkaido is the signature, the ramen comes in several options and can be chosen depending on your preference of saltiness. The broths take around two days to prepare by simmering a various combinations of chicken bones, pork bones and vegetables. Ramen Do also puts a huge amount of effort into its noodles; they're made everyday and come out the firmest of any I've experienced in Auckland. The large bowls arrive in no time at all, each glistening and brimming with an extremely generous amount of toppings. Even the most straightforward option is given the utmost care; the chashu pork is grilled on both sides, the boiled egg retains a gooey lava yolk, and the scoop of minced pork and chewy wood ear fungus just sit as they should. They even give you a small mortar and pestle on the side to crush and add sesame seeds to your liking. The vegetarian gyokai option is as equally appealing and comes stacked with bean sprouts, bamboo and green onion. 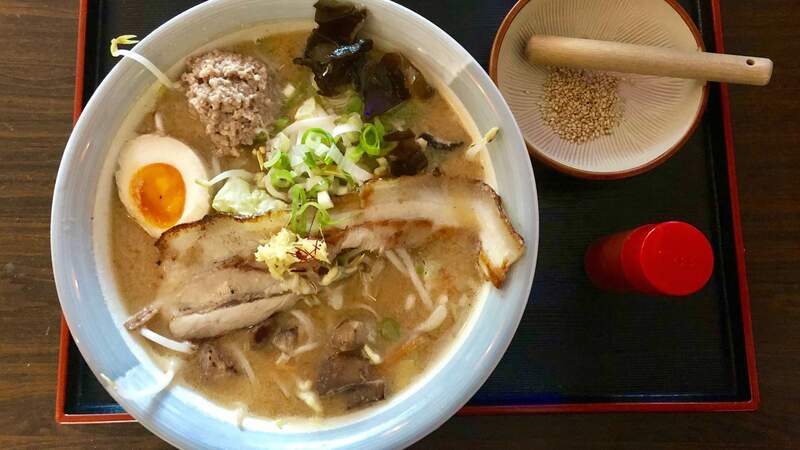 Tanpopo is regularly regarded as home of the best ramen in the city and for good reason — it's fast, flavoursome and soul warming. I also have a feeling it may be something to do with the addictive salty broth that leaves you making a b-line for the water station and slurping until the final dregs. If you prefer your broth on the lighter side, you're in the wrong place. The beautifully fine egg noodles are made fresh each day — the bonus is that the default texture is perfectly al dente (to the bite). The classic tonkotsu shoyu ramen, made with a pork bone broth, is an immediate go-to. Giving that aforementioned rich broth an extra kick are your all time classic ingredients of seaweed, finely sliced leek — which you'll see piled up in the open kitchen — bamboo shoots, and a delicate slither of chashu pork, the thinest I've seen. You'll find this trendy noodle house right in the middle of Mount Eden village. The brainchild of award-winning Japanese chefs Toru Hirae (Soi) and Kazuya Yamauchi (Kazuya), Zool Zool specialises in handmade noodles, traditional Japanese izakaya tapas and whiskey. Though the main attraction here is the ramen. On the incredibly easy-to-navigate menu you'll find both soupy broth and lighter, broth-reduced salad versions. The tonkotsu comes with a porky, milky broth with pork charshu, bamboo shoots, ginger, wood ear mushrooms, spring onion, egg and nori for $14. Elsewhere, the tantan variety packs a punch with a sesame chilli broth. The lip-smacking dish comes with a generous topping of pork mince, sesame sauce and mung beans. For a noodle alternative, hit the honey braised pork belly steamed buns. It's not unusual to walk straight past Ichiban. The hole-in-the-wall restaurant is tightly packed between a karaoke bar and nightclub on lower Albert Street. The tiny restaurant can only cater for up to ten people around the edges of the floorspace, so it's best for solo or couple visits — even then, don't plan on sitting next to your noodle partner. 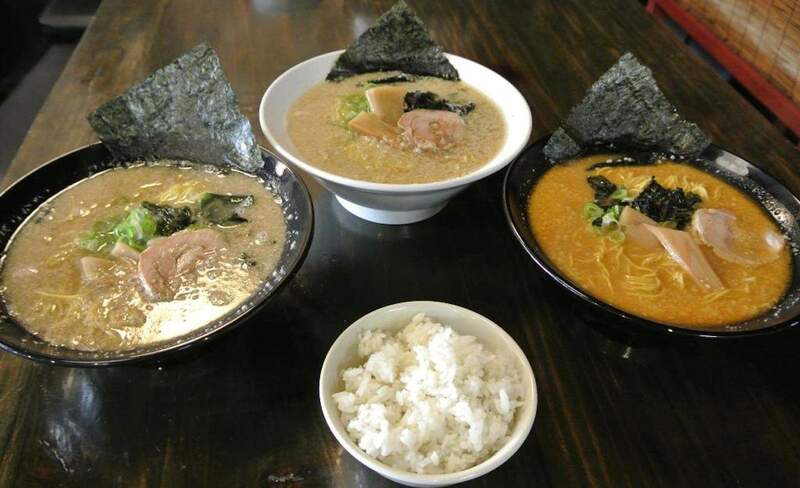 The menu boasts several different kinds of ramen. Those familiar with the traditional pork based tonkotsu broth will notice that Ichiban's has a strong presence of sesame, both with the oil floating on top and a sprinkling of seeds. 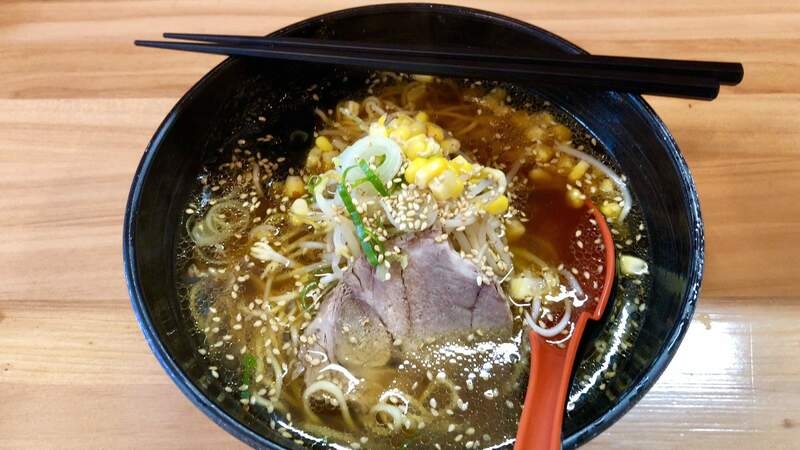 With every ramen outlet having their own twist on the classic dish, the addition of Japanese pickle was a nice touch and a nice surprise hiding in the cloudy broth, alongside bean sprouts and a good dose of corn. The broth ratio was far beyond the amount of noodles, making it not quite as filling as expected but that's where Ichiban's $9.50 lunch deals come in handy. For a roomier dining experience, head to the Newmarket outpost. 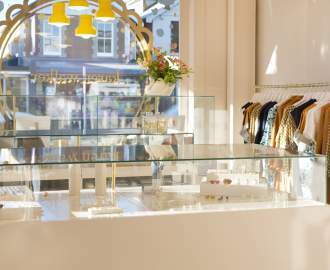 While it may sound like a gentlemens' tattoo parlour, Mentatz is actually just a Japanese restaurant, and one you've probably walked past on numerous occasions. The mastermind behind the operation is Chef Kudo, who earned his stripes in restaurants like Parnell's Karin. 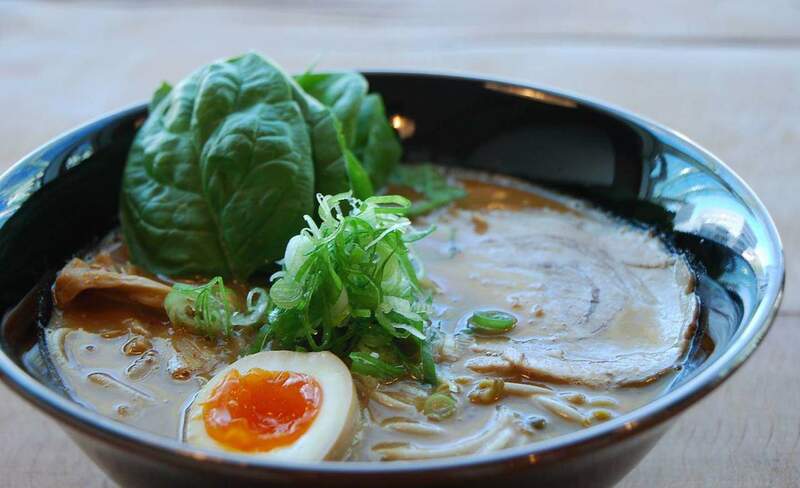 Mentatz specialises in pork based tonkotsu broth, though they also have a strong selection utilising both miso and chicken bases. Like most ramen houses, Mentatz hand-stretches its noodles. The difference comes in the option of being able to choose the way you'd like your noodles cooked, in the same way as ordering a steak: medium, well done etc. They also apparently abide by the Japanese custom of "kae-dama", which allows hungry diners to pick up a second helping of noodles for $1.50 by uttering the magic word meaning "double". Given its reasonable price point and proximity to Auckland Uni on Lorne St, the restaurant is typically heaving so it's not unusual to have to wait for a table. Contrary to the other restaurants under the Daikoku banner, the Britomart branch shows off its culinary acrobatics in a less obvious fashion. 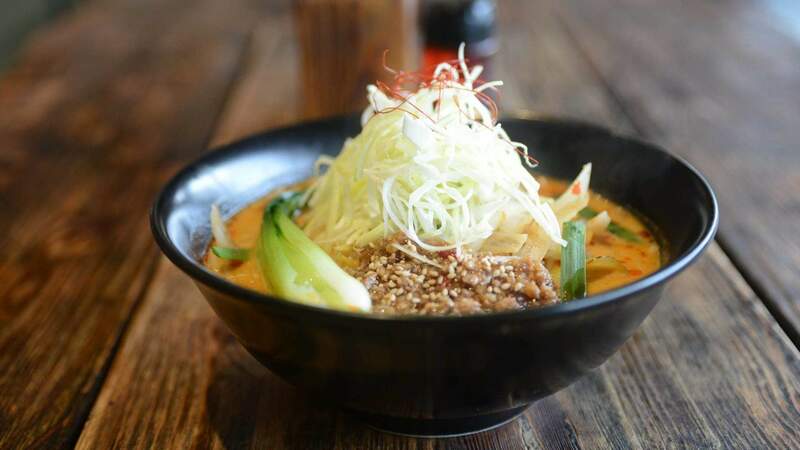 Located down Tyler Street, the hole-in-the-wall eatery serves big bowls of ramen, as a quick and healthy option for those working in the CBD. 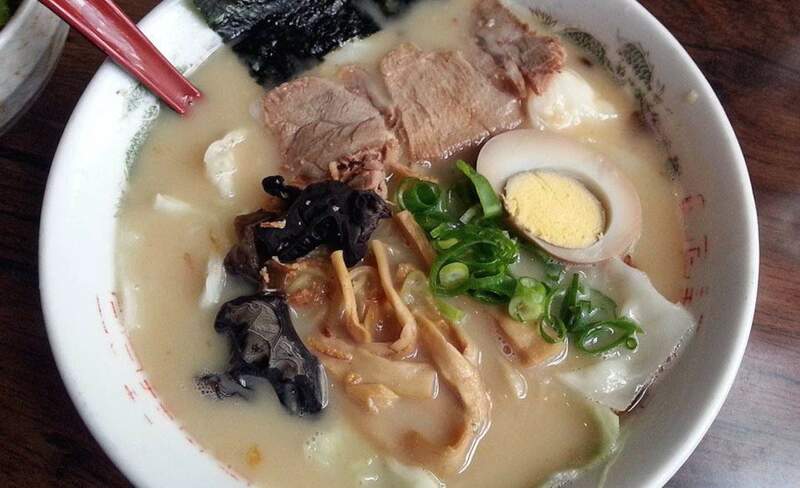 Ramen is the main on contender of the menu and the cheapest of any we've tried in Auckland. Luckily, the price doesn't rub off on the quality of the meals and the options are still as big as what you'd find elsewhere. 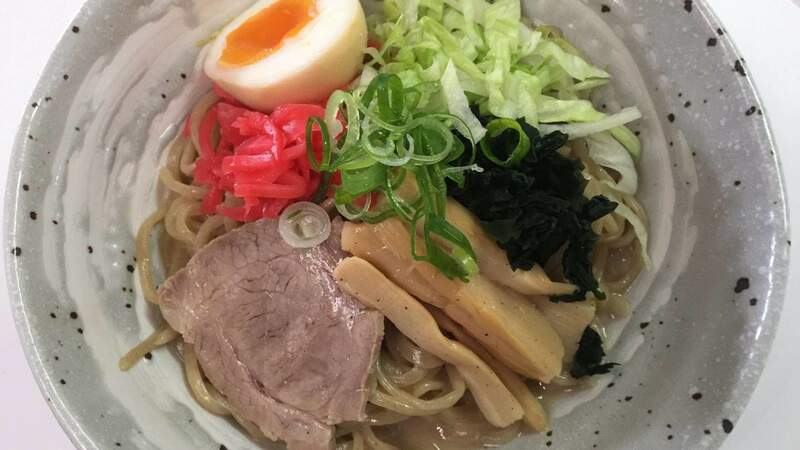 If fact, even the most basic of basic ramen options — simply titled "Ramen" — is packed with firm noodles and a generous supply of tender chashu pork. You'll be served within minutes after ordering, though then comes the challenge of not scorching your lips on the piping hot broth. The seating options around the kitchen give insight into the cooking process and it happens to be great for those looking to hide away and have some alone time while grabbing something to eat. 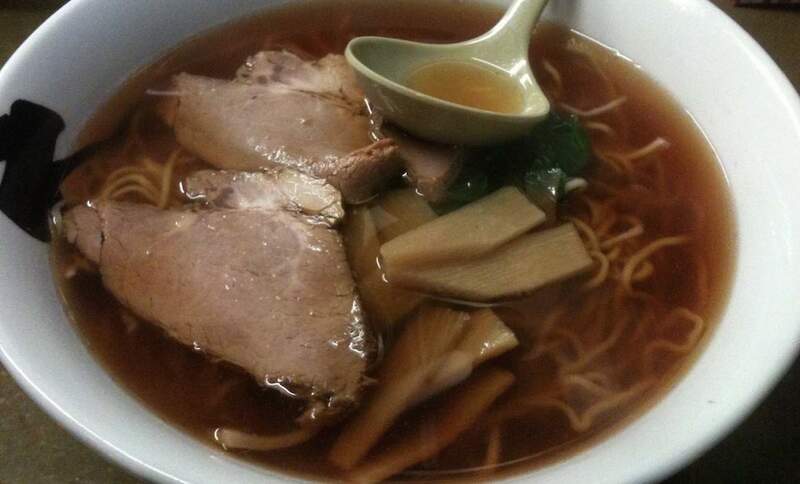 Ramen Takara has been Browns Bay's go-to location for a steamy noodle fix since 2008. And for those on the other side of the bridge, a second chapter can be found in Ponsonby. Steaming bowls of ramen are the main attraction to Takara. There are ten very different options on offer, as well as three stir-fried noodle varieties — which actually only equates to a small section of the menu. Noodles are made on-site everyday using local flour and free range eggs, and the broth is prepared during a three-hour process each morning. The broths span a huge range of flavours: soy, cloudy pork, shrimp extract, kombu seaweed, black sesame, miso and sour and spicy, and surprisingly, a decent chunk of the dishes can be made vegetarian on request. For those in need of a big noodle hit, the wonton ramen is the way to go, a seemingly endless supply appear out of the salty broth.